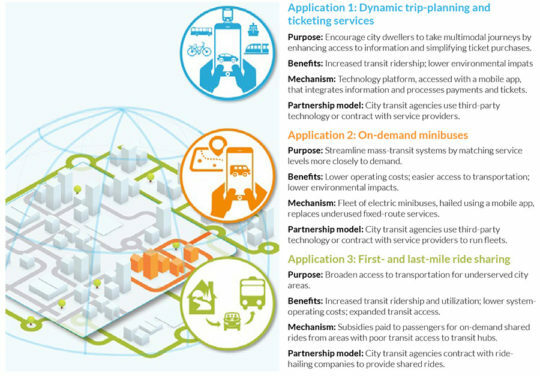 The working paper “Connected Urban Growth: Public-Private Collaborations for Transforming Urban Mobility” presents a working definition of the term new mobility services, which encompasses a broad set of emerging operating models and technologies that are intended to improve the performance of urban transportation systems. It also presents the first global survey of new mobility services, and identifies emerging trends and opportunities for decision-makers in both the public and private sectors. The paper identifies three promising applications of new mobility services by public transit agencies and presents economic, social, and environmental modelling that illustrate the value of such partnerships to mass transit systems. 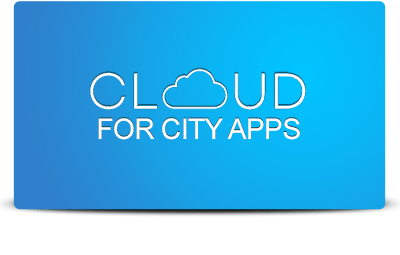 One application consists of services that let consumers plan multimodal journeys based on dynamically updated information and to purchase the tickets that these journeys require. In another application, transit agencies rely on on-demand mobility services to offer public transit riders a mode of transport that is more flexible and cost-effective than fixed-route buses and subways. And a third application involves subsidising passengers’ use of ride-sharing services to make short trips to and from public transit stops in neighbourhoods that have limited transit access. Although the results of existing new mobility applications have not been widely shared, simulating these three applications in London, Mexico City, and San Francisco suggests that they could have economic and environmental benefits. The paper outlines several practices that can help cities make good use of new mobility applications to enhance the overall efficiency and experience of urban transportation systems. These include: establishing consistent policies on data security and sharing; compiling open datasets on their transportation systems; setting targets for the performance of transportation systems that reflect larger policy priorities; continuously assessing the economics of mass transit so as to pinpoint opportunities to boost efficiency; forecasting and preparing to manage effects on employment; and balancing short-term improvements to transportation systems with long-term infrastructure investments that are consistent with future mobility requirements.